the savvy girl's guide to life: Must Have: Tiny Food Party! 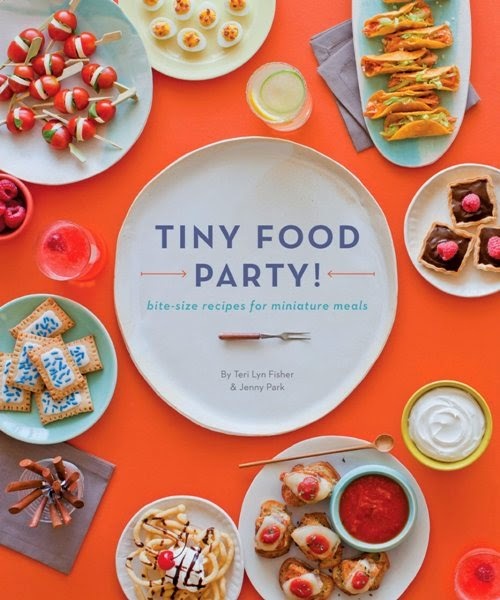 I'm big on tiny food, and I love to entertain, so a tiny food party sounds like the best idea ever. There is nothing, nothing, I don't love about this book; even the title, with its exclamation point, is excited about tiny food. And these aren't recipes for fancy hors d'oeuvres that require a ton of prep and cooking time, but actually miniature versions of fun, every day foods like tacos, onion rings, and the teeny tiniest chicken and waffles. Plus, there are recipes for mini cocktails! Honestly, I'm having a blast just looking at the pictures. Oh wow my friend Dana would LOVE this book!! She loves to entertain and is always making things like this for her parties. I will have to pass this along to her.